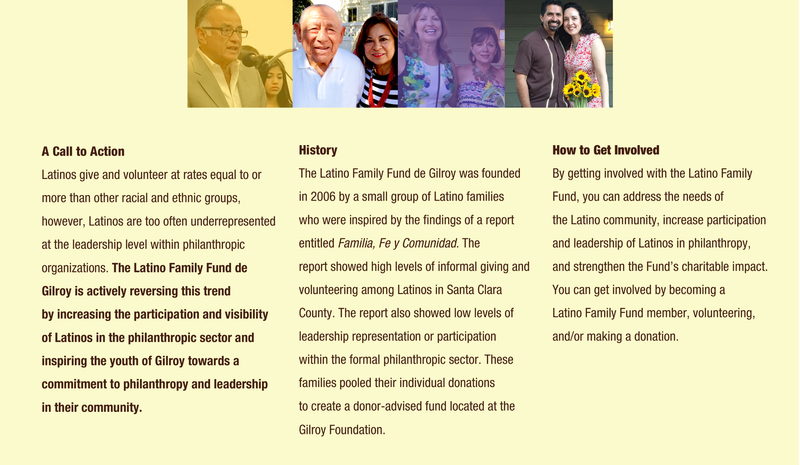 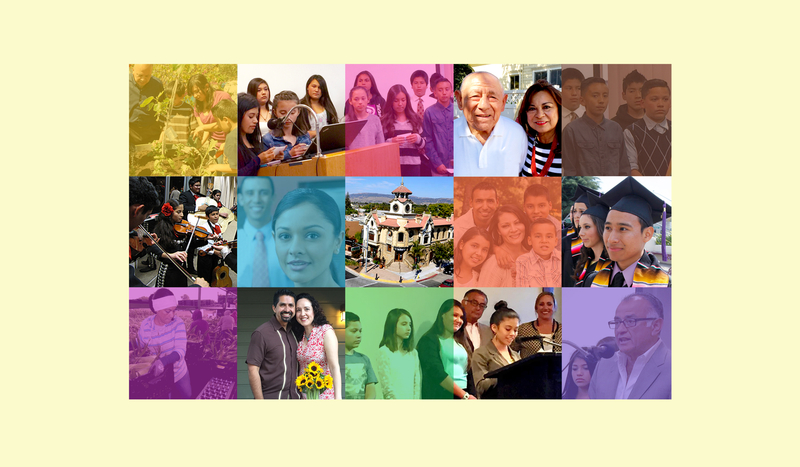 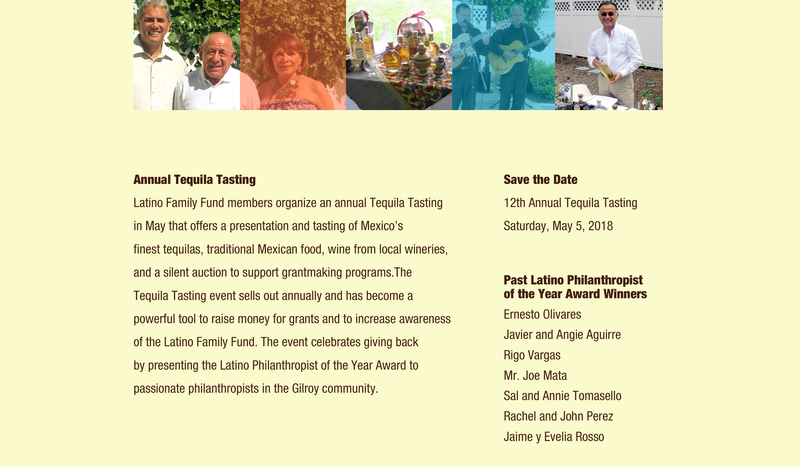 The Latino Family Fund is a respected, inclusive and active participant in Gilroy’s philanthropic sector. 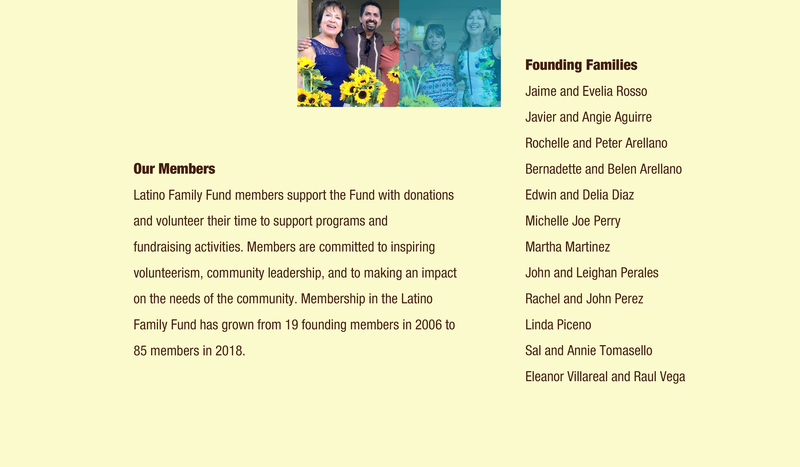 A recognized leader in youth philanthropy and grant making, the LFF is providing generational empowerment to significantly impact the Latino community. 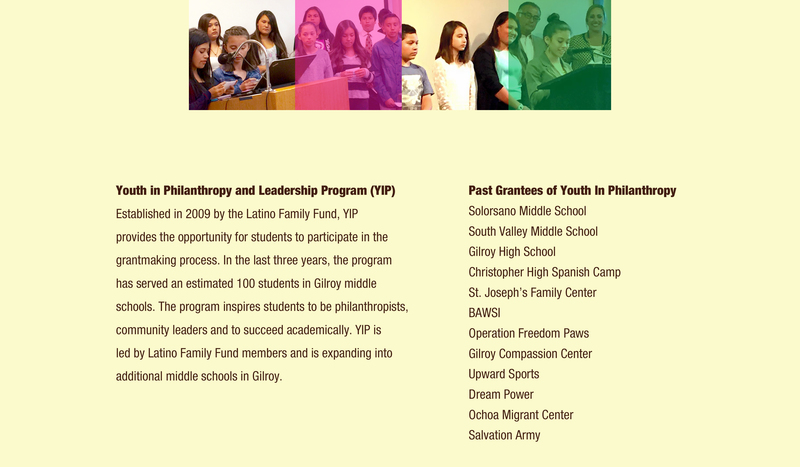 The Latino Family Fund will increase the participation and visibility of Latinos in the philanthropic sector and instill youth of Gilroy with a commitment to giving and leadership in their community. 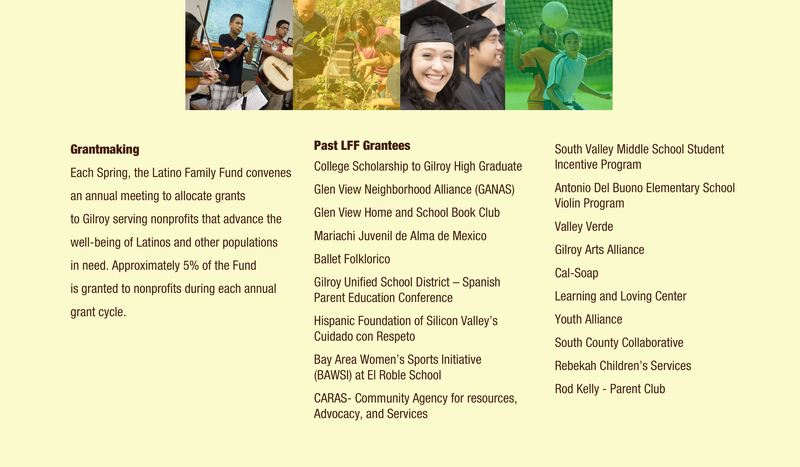 The Latino Family Fund de Gilroy was established in 2006 and is affiliated with the Gilroy Foundation.